ARLINGTON, Va., December 18, 2003 – Visiting the gravesite of President John F. Kennedy as a 12-year-old left a vivid impression on Morrill Worcester. Now, decades later, he hopes other students will have the same memories following their visit to President Kennedy’s grave. The students, 5th and 6th graders from Margaret Chase Smith School in Skowhegan, Maine, were greeted by Peace Corps Director Gaddi H. Vasquez who talked to the students about the benefits of volunteering and the legacy of President Kennedy, including his founding of the Peace Corps. Director Vasquez also presented the students with Peace Corps patches as a memento of their visit. Prepared with raingear and umbrellas, the students did not let the weather stop their volunteer efforts to remember America’s veterans. They placed over 4,000 wreaths on the rows and rows of gravesites. The students also visited other cemetery sites, where they distributed American flags and learned about the history surrounding the memorials, including the space shuttle Challenger disaster and the Tomb of the Unknown Soldier. The students made the 12-hour journey from Maine after learning about Worcester’s plans to distribute 4,000 wreaths. Worcester, who owns a wreath company, donated the wreaths and helped arrange for the students’ visit to the Washington, D.C. metro area. The students were accompanied by their teacher Larry Ross, who has spent much of the school year trying to instill a sense of community in his students. As part of this endeavor, many of the students helped in an effort to build an African school through “Free the Children,” a program through their school. Students also honored victims of 9/11 by setting up nearly 3,000 flags in their community as a remembrance. 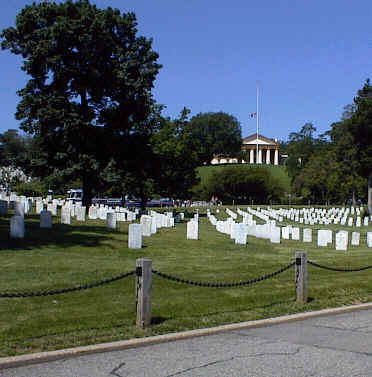 Mr. Ross said that by having the students place wreaths and flags at the Arlington Cemetery memorials, he hopes they will gain a deeper appreciation for President Kennedy and service to our nation. And perhaps some day, they will decide they want to answer President Kennedy’s call to serve their country, in the same manner that Mr. Worcester is giving back to veterans for the impression Arlington National Cemetery had on him when he was young.